Forget the feeling of being closed into your own yard. A frameless glass fence keeps your outdoor area feeling open and spacious adding a dramatic effect to your backyard fence. Don’t sacrifice your view any longer. Frameless glass fences are an architecturally savvy alternative to common fencing materials, such as wood or aluminum. Typically seen in New York and California, glass fences are no longer an East Coast or West Coast design. St. Louisans desire the clean lines and transparency that a glass fence offers. Glass fences give the illusion of having no boundaries. In addition to preserving a coveted view, the fences are also a powerful design option, creating a dramatic architectural feel of greater space. Not only do glass fences protect you and your guests from the wind, but they also protect your yard and pool. No one wants to sit poolside while clutching his or her hat or top. 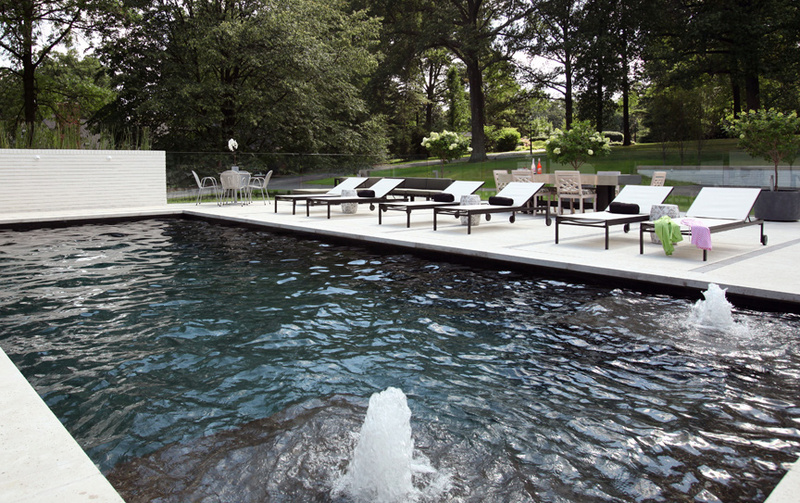 “Glass fences limit the amount of leaves or trash ending up in the pool,” says interior designer Garison Salinas of Garrison Ltd., who has designed glass-fenced areas for several clients. Garison says glass fences can be relatively maintenance free if an anti-water spot spray is applied similar to what is used on windshields. This eliminates the need to constantly wipe down the glass panels. While glass fences look aesthetically appealing, you may be questioning their practicality and safety. Tom Barron, owner of Barron Mirror Glass & Door, says glass fences are feasible for most homeowners but a lot of people don’t consider them as an option. 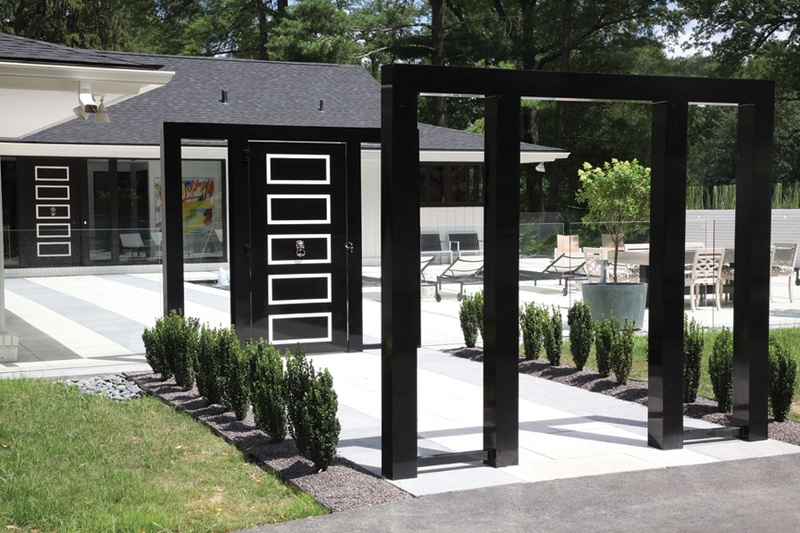 “If you can think outside the box, there are a variety of cool options for glass fencing,” Barron says. Barron and Salinas worked together to create a frameless glass fence for a home in Ladue. In terms of safety, there is nothing fragile about the material the glass fences are made of. Tempered glass is primarily used in the rare case the glass breaks causing it to explode into lots of little pieces. Not every project is well suited for a frameless glass fence. Barron says lots of variables affect whether or not the look can be achieved such as the fence’s location, height, weight etc. As far as design goes, there are a variety of options for fences including different thicknesses, color variations, hardware and there is even the option to sandblast a design onto parts of the glass. Impact lighting can also enhance the drama of the fence. With the right budget and landscape, a frameless glass fence can take your outdoor space from ordinary to extraordinary; you just have to think outside the box.